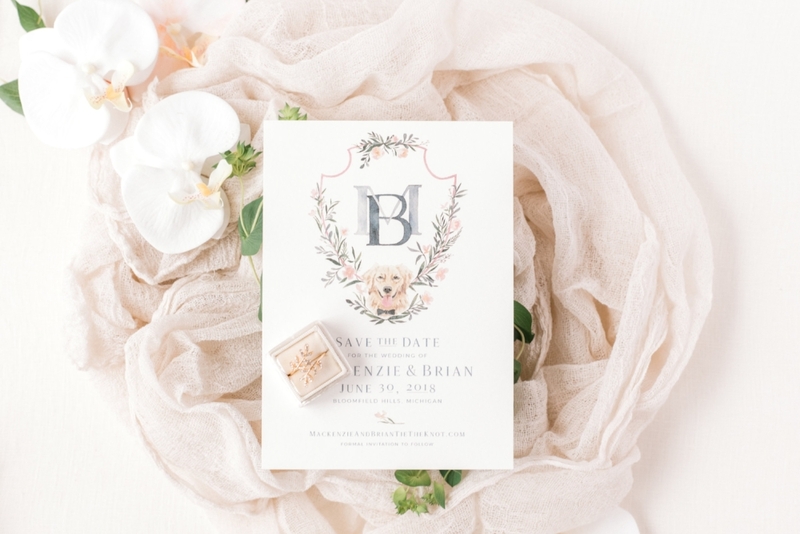 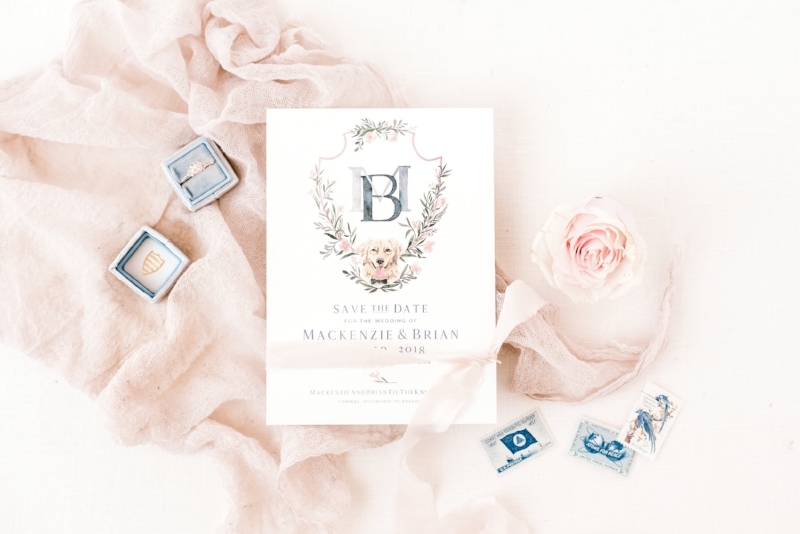 This Save-the-Date features lush watercolor florals, custom watercolor crest, and modern typography. 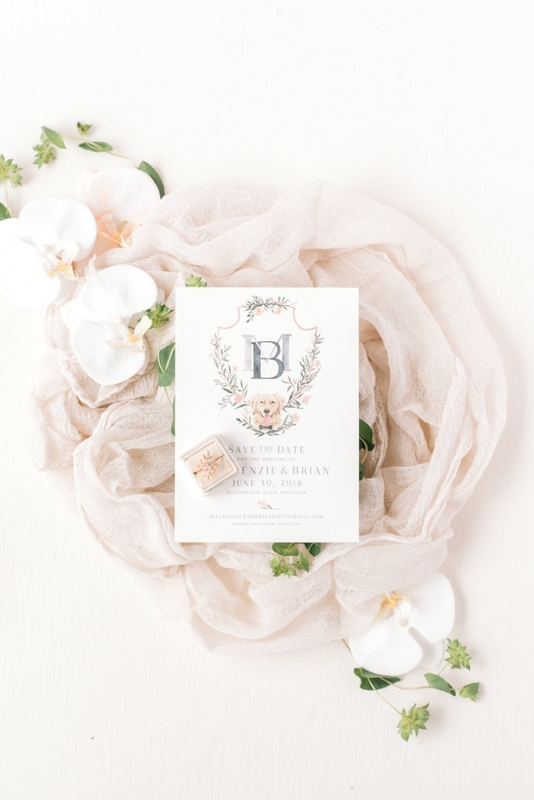 It was digitally printed in full color on beautiful, cotton card stock. 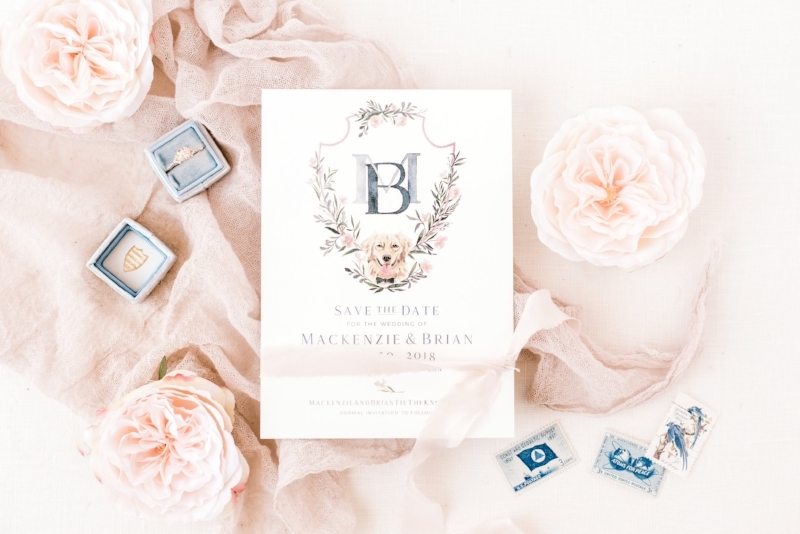 To see the corresponding invitation suite, click here.